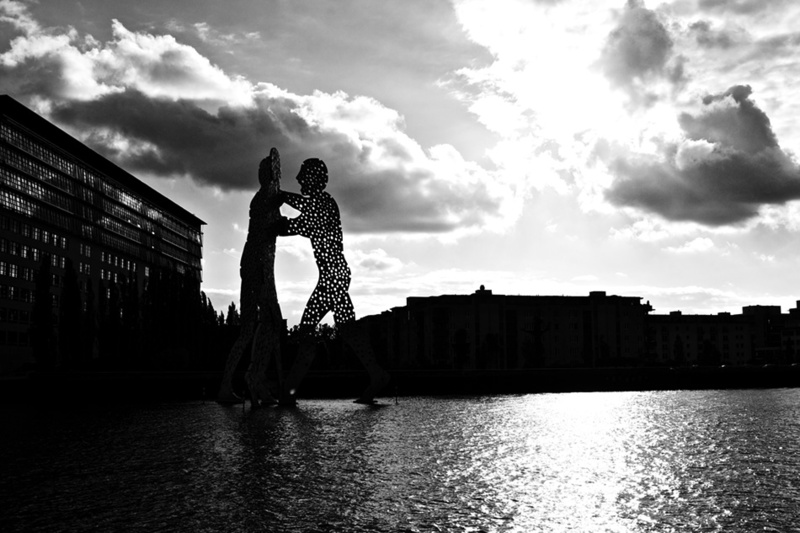 Jonathan Borofsky’s giant aluminium creation, Molecule Man is one of the great symbols of Berlin, installed in the late 1970s, but to me expressing the new optimism and unity of the contemporary city. It is hard to visualise its form from afar, but closer up you see the ‘Molecule Man’ is in fact three interlocked figures. The artist’s intention was for the holes to represent “the molecules of all human beings coming together to create our existence”. Technique: The photographic effect was achieved by biaising exposure toward highlights (the streak of intense reflected light on the River Spree), and then recovering shadow detail by dodging, and pushing the contrast in post-production.